Optical spectroscopy of transition metal complexes plays an important role in establishing excited-state electronic and nuclear structures and thus in the elucidation of the multitude of photophysical and photochemical relaxation processes. The most important advances in this area of research over the past decade are due to the development of new experimental techniques such as ultrafast spectroscopy as well as structure determination in conjunction with other methods such as high-pressure and variable temperature techniques. In this contribution, several paradigmatic systems, namely, of complexes of chromium(III), iron(II), ruthenium(II), nickel(II), platinum(II) and palladium(II), are discussed with regard to their excited electronic and nuclear structures and photophysical relaxation processes. 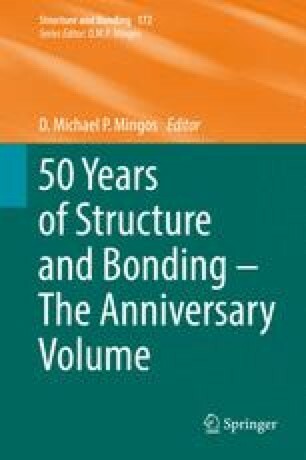 We thank all our collaborators and friends who over the years have contributed in one way or another to our research and our understanding of the photophysical and photochemical properties of transition metal complexes and compounds. We acknowledge G3 travel funding.